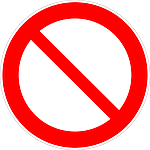 Here is a list forbidden products that cannot be shipped overseas from China. You need to check this list before searching for products or purchasing products from China as we will not be able to ship them to you. These items are either forbidden by international countries to import or they are forbidden by courier companies to transport. 9. Counterfeits items, all brand name logo trademarks, drawings, prints, etc. 15. Pirated software, DVDs etc. This list of forbidden products is not complete and rules and regulations are constantly changing and evolving. We will be updating this list as we find new products that cannot be shipped overseas. We hope this will help you in your product selection and remember Premium Suppliers is here to help you buy direct from China.